Aaajiao is the internet alias of XU Wenkai (b. 1984 Xi’an) who lives and works in Shanghai. 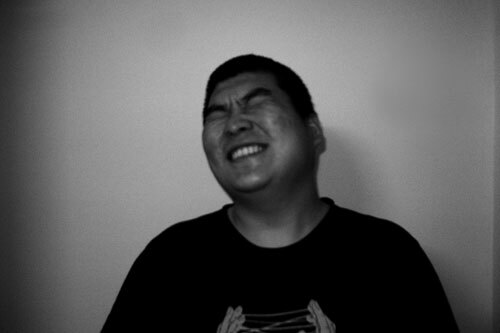 Aaajiao is one of China’s foremost media artists, blog- gers and free culture developers. In 2003 he es- tablished the sound art website: cornersound. com, and in 2006 he founded the Chinese take on the blog We Make Money Not Art: We Need Money Not Art. He is devoted to Processing, an open source visual programming software, Dork- bot, a non- profit initiative for creative minds, and eventstructure, an interdisciplinary center for art, media technology and academic research based in Shanghai. In his works in general, Aaajiao fo- cuses on the use of data and its various forms of display, and how meaning is understood through the process of transforming the movement from reality, to data, and back again. His most signi- ficant aesthetic contribution to new media in China is a social one, acting as a vector for the interpretation and communication of internatio- nal and local trends in the usages of software in artistic practice.